The Lions have signed free agent defensive tackles Ego Ferguson and Bruce Gaston, the team announced. To make room on the roster, the Lions waived defensive tackles Nick James and Maurice Swain. Ferguson has now signed contracts with three of the NFC North’s four teams this offseason. After being cut by the Bears in April, Ferguson’s deal with the Packers was scuttled when he could not pass a physical. Apparently, he was healthy enough this week to sign a deal with Detroit. If he doesn’t make the Lions’ 53-man roster, perhaps he can try his luck with the Vikings. Ferguson, 26 in September, appeared in all 16 games during his rookie campaign with the Bears in 2014, but ailments have limited him to just four games since then. The Raiders auditioned him after the Packers deal fell through, but the Lions are the only other team we’ve heard linked to him in the last two months. As Justin Rogers of The Detroit News (on Twitter) notes, Lions fans may remember Ferguson from a 2014 incident in which Lions center Dominic Raiola stepped on Ferguson’s leg. That dirty play resulted in a one-game suspension for Raiola. Gaston, another former Bear, appeared in seven games for Chicago in 2015. Last year, he was with the Panthers’ practice squad. Gaston had shoulder surgery in 2016, but he has likely recovered by now. The Patriots plan to work out free agent defensive tackle Ego Ferguson, according to Field Yates of ESPN.com. Like fellow free agent Taylor Mays, Ferguson will participate in New England’s upcoming rookie minicamp on a tryout basis. 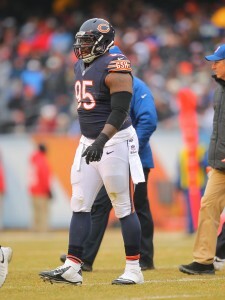 Ferguson, 25, appeared in all 16 games during his rookie campaign with the Bears in 2014, but injuries have limited him to just four contests since that season. Chicago reportedly shopped the former second-round pick last fall, but didn’t find any takers. After spending the entire 2016 season on injured reserve, Ferguson was waived in early April and claimed by the division-rival Packers. Ferguson failed his physical with Green Bay, though, and once again hit the free agent market. He’s since auditioned for the Raiders. The Patriots have consistently added to their defensive line throughout the offseason by adding veterans such as Kony Ealy and Lawrence Guy and draft picks like Derek Rivers and Deatrich Wise, so it’s tough to see how Ferguson could hypothetically fit on New England’s roster. Alan Branch — who re-signed on a two-year deal in March — and Malcolm Brown are the projected starters at defensive tackle, while 2016 third-rounder Vincent Valentine is also available on the inside. Free agent defensive tackle Ego Ferguson worked out for the Raiders on Wednesday, reports Mike Florio of Pro Football Talk (Twitter link). Ferguson is looking for his second new team of the offseason, having previously joined the Packers via waivers after the Bears cut him March 31. Ferguson failed a physical with the Packers, however, leading to his release less than a week after Chicago jettisoned him. The 25-year-old Ferguson still has youth on his side, and he was a second-round pick in 2014, but his pro career has been a disappointment thus far. The ex-LSU standout didn’t start in any of his 16 appearances as a rookie, nor did he make a huge impact statistically (24 tackles, two sacks), and has since missed 28 of 32 regular-season on account of injuries and a suspension. Ferguson sat out all of last year with a shoulder malady. The Raiders currently have four D-tackles on their roster in Jihad Ward, Dan Williams, Justin Ellis and Darius Latham. That was fast. Ego Ferguson failed his physical with the Packers and was released, according to the NFL’s transactions wire. Green Bay claimed Ferguson off waivers from the Bears just days ago. Ferguson, a former second-round pick, was waived by the club late last week. He played in only four games in 2015 due to injuries and a ban for performance-enhancing drugs. Then, he missed all of 2016 with a shoulder injury. In total, he played in only 20 NFL games since being drafted in 2014. In that time, the 25-year-old (26 in September) compiled 26 tackles, two sacks, and three passes defended. The Packers wanted to see what he could bring to the table, but he’s apparently got a ways to go before he can take the practice field. In other Packers news, the team recently met with controversial running back Joe Mixon. The Packers also added a former Arena League guard. The Packers have found defensive line help from an unlikely source. 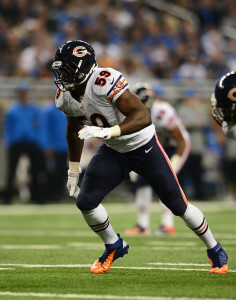 Green Bay has claimed Ego Ferguson off of waivers from the Bears, according to Field Yates of ESPN.com (on Twitter). 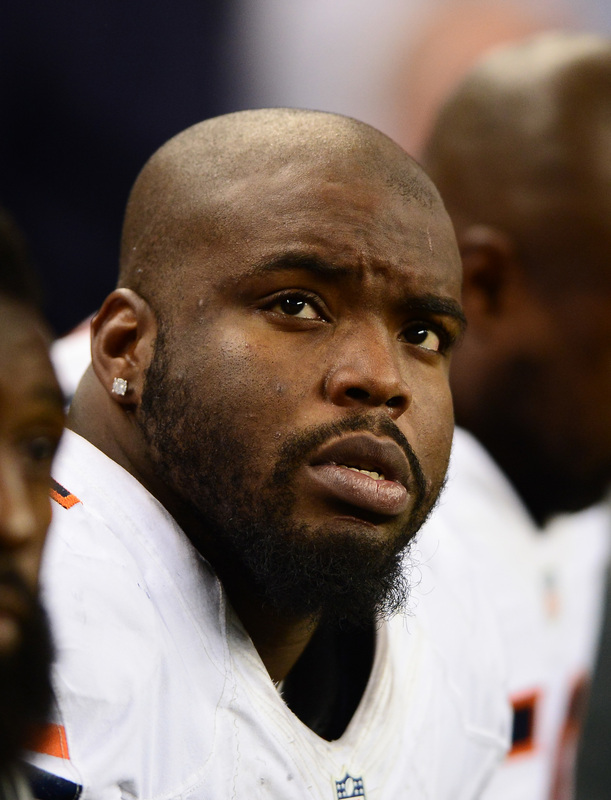 Ferguson, a second-round pick of the Bears’ old regime, was released last week. His exit from Chicago was a long time coming. He played in only four games in 2015 due to injuries and a suspension. Then, he missed all of last season with a shoulder injury. In total, he played in only 20 games since being drafted in 2014. In that time, the 25-year-old (26 in September) compiled 26 tackles, two sacks, and three passes defended. That’s not quite what Phil Emery had in mind when drafting him. The Packers have gotten an up-close look at Ferguson over the past three years or so and they apparently feel that he still has something to offer. If Ferguson can get on the right track, stay healthy, and make the team, he could get multiple opportunities to make the Bears regret letting him go. The Bears have released defensive lineman Ego Ferguson, according to a team announcement. He’ll now go through the waiver process. If every team passes on him, he’ll be a free agent early next week. Ferguson, a second-round pick of the old regime, played in only four games in 2015 due to injuries and a suspension. Then, he missed the entire 2016 season with a shoulder injury. In total, he appeared in only 20 games since being drafted in 2014. In that time, the 25-year-old (26 in September) has compiled 26 tackles, two sacks, and three passes defended. The Bears shopped Ferguson in September 2016, but they were unable to find any takers. With some big name defensive linemen still on the board and the draft still on the horizon, it seems unlikely that he’ll get claimed. After being waived/injured yesterday, Ego Ferguson will remain on the Bears. Adam Jahns of the Chicago Sun-Times tweets that the defensive tackle will be placed on the injured reserve. General manager Ryan Pace indicated that Ferguson will need shoulder surgery. Ferguson, a former second-round pick, was reportedly being shopped by the team earlier this week. Pace has shown a real willingness to install his own defense in Chicago, and he’s been looking to move members of the previous administration. Will Sutton and Christian Jones were among the other Bears defenders being shopped around. After appearing in all 16 games as a rookie, Ferguson only made four appearances in 2015. The lineman was placed on the IR early in the year, and he was slapped with a four-game suspension in November. In 20 career games, the 24-year-old has compiled 26 tackles, two sacks, and three passes defended. The Bears have told other clubs that defensive lineman Ego Ferguson and Will Sutton, as well as linebacker Christian Jones, can be had via trade, sources tell Brad Biggs of the Chicago Tribune. As Biggs notes, Chicago is unlikely to acquire anything meaningful for any of that trifecta, and all three are in danger of being cut. The Bears are in the process of overhauling their defense, and GM Ryan Pace clearly isn’t interested in keeping players who were brought in by the team’s previous administration (all three of Ferguson, Sutton, and Jones were acquired in 2014). Of the three, Jones is the most experienced, as he played over 70% of Chicago’s defensive plays a year ago, starting 13 games and picking up 59 tackles. But given that the Bears have signed both Danny Trevathan and Jerrell Freeman, there doesn’t seem to be a role for the 25-year-old Jones. Sutton and Ferguson, meanwhile, played roughly 40% and 10%, respectively, of the Bears’ defensive plays during their sophomore campaigns.